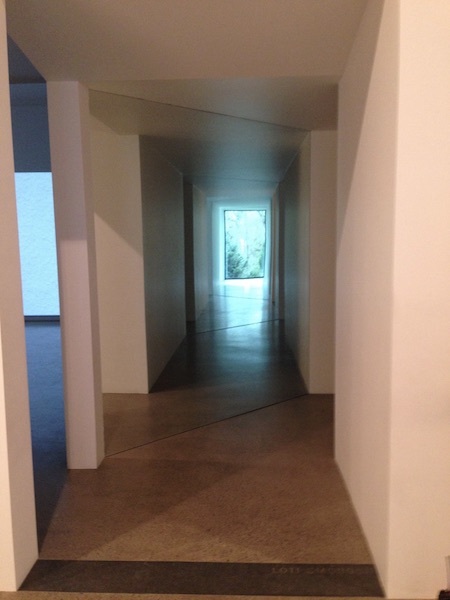 Last weekend we visited the Heide Museum of Modern Art on the outskirts of Melbourne. As always our family starts such cultural excursions on a full stomach, so our first stop was to its excellent Café Vue, where we breakfasted among a mainly younger and artier clientele. When Sunday and John Reed purchased Heide in 1934 it was a neglected former dairy farm. 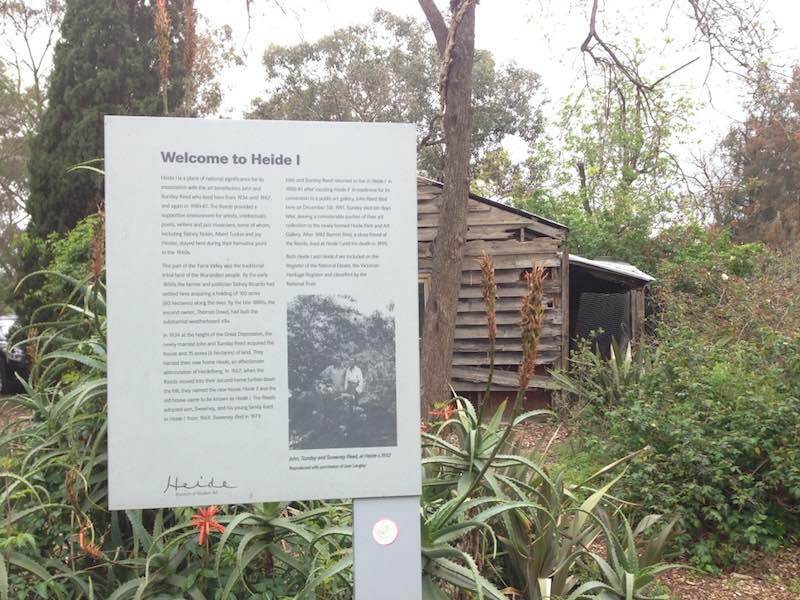 After fifty years of vision, dedication and sheer hard work, the Reeds moulded Heide into a personal Eden, connecting art with nature and creating a nourishing environment for the artists they championed – Sidney Nolan, Albert Tucker, Joy Hester, Charles Blackman and Mirka Mora among them. 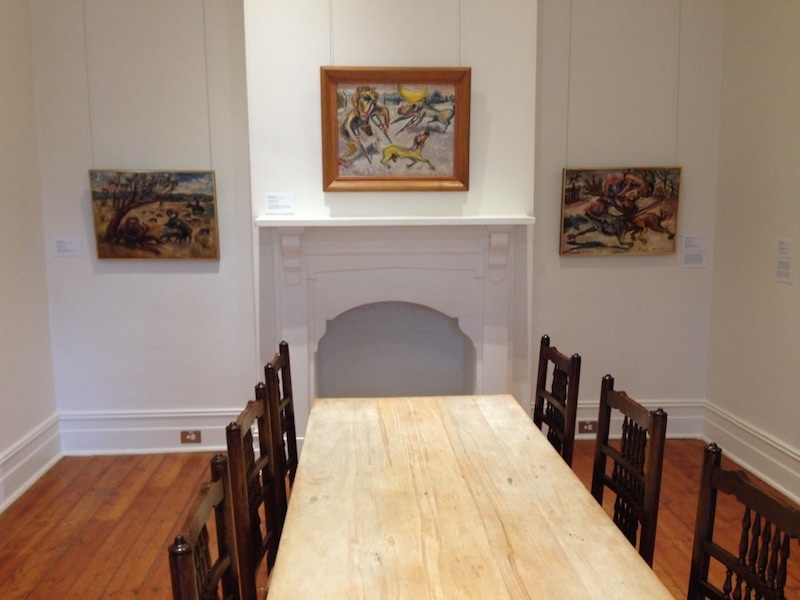 I like to visualise Sidney Nolan painting his Ned Kelly series in the dining room of the original house (now called Heide I) just off the main road – then storing them in the dilapidated former cow shed next door! Because of its proximity to the increasingly busy main road, and the opening of a fish and chips shop across the road from them, the Reeds decided to build a new residence further down the hill of their property. This has now become Heide II. But it was Heide III that most excited me, for it contained a new exhibition ‘Sitelines’ by Melbourne artist Natasha Johns-Messenger in which, as her notes describe, she attempts to explore knowledge and perception. The surprise of seeing myself framed by a view of the gardens at the end of the hall will remain with me for a long time. By her skilful placement of mirrors the artist really manages to confuse and confound our senses. But it’s much more that a hall of mirrors at a sideshow. But is it art? If one of the aims of art is to change our perceptions of our surroundings, then Natalie’s exhibition certainly does that – to everyone who enters her exhibition’s amazement and delight. I left the exhibition wondering just what art, and in particular modern art, is. 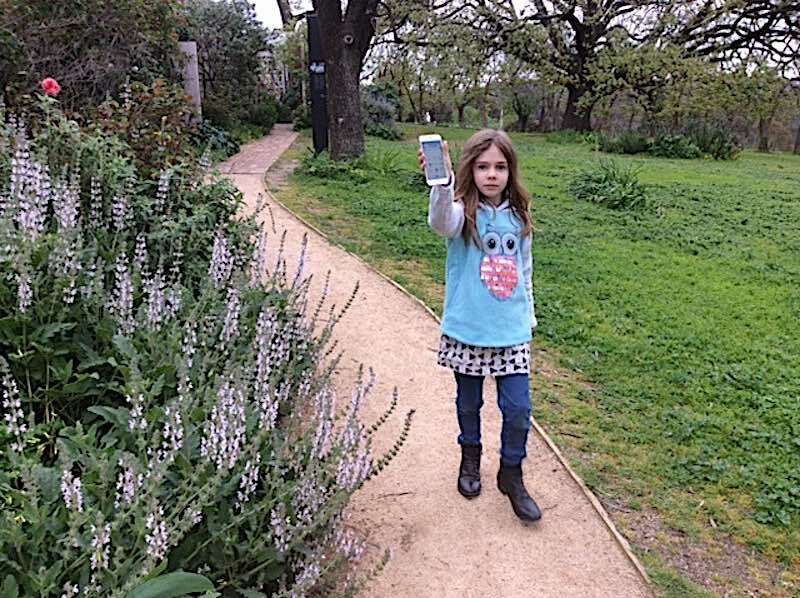 Perhaps grand daughter Clementine could be holding it in her hand outside, when her paintings of ‘Pokemon Go’ are discovered in years to come? 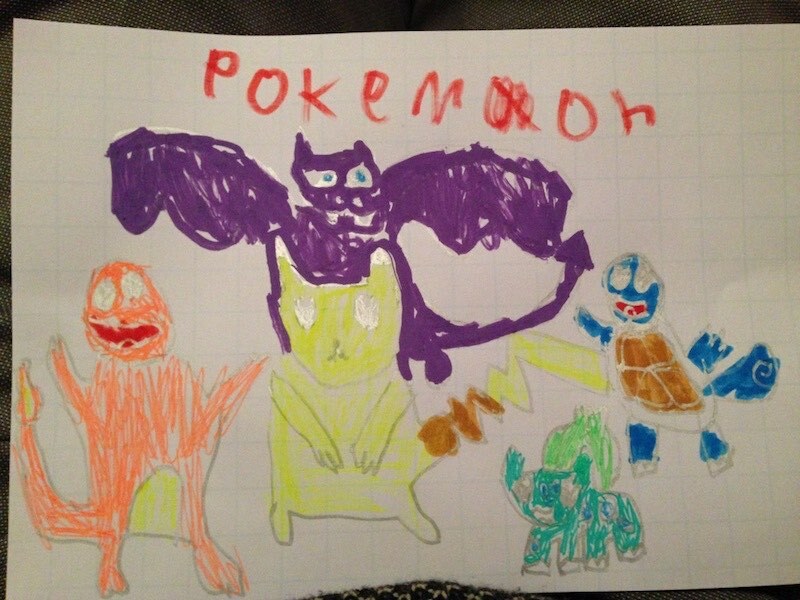 Modern Art of the future? It certainly is changing Clementine’s perceptions of her surroundings at present. Thanks. Never knew Heidi existed. Next time in Melbourne will visit.